Rental rates are still climbing – but a bit more slowly than in previous months. 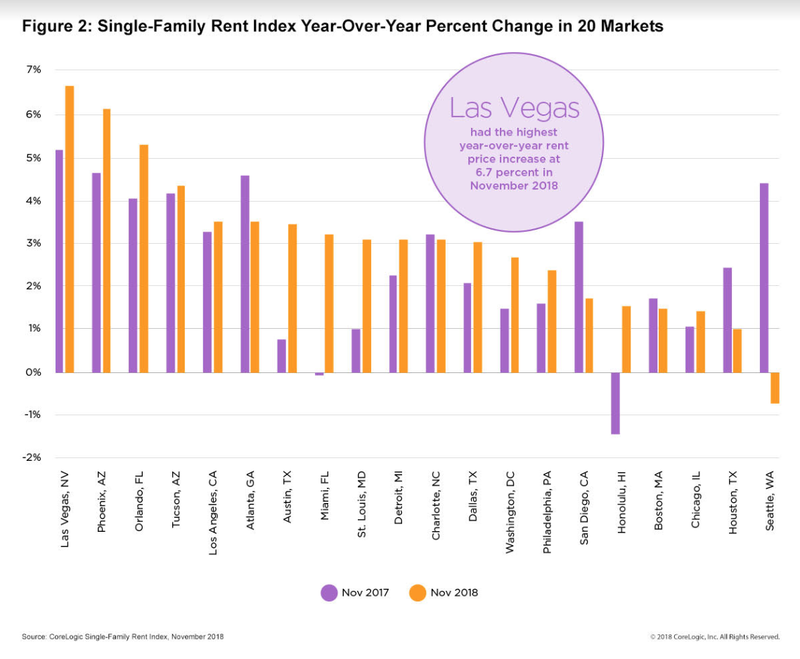 Nationwide, the cost of renting a single-family home grew by 2.9 percent, to an average of $1,455, in November, according to the latest data from CoreLogic released Tuesday. By contrast, rent prices had grown by 3 percent the previous month, 3.2 percent in September, and 2.8 percent in November 2017. A lack of affordable housing is partially responsible for the spike, according to the CoreLogic data. Rent for homes priced at less than 75 percent of the median in each city has grown by 3.8 percent since November 2017, forcing many would-be first-time buyers to continue renting longer than expected. 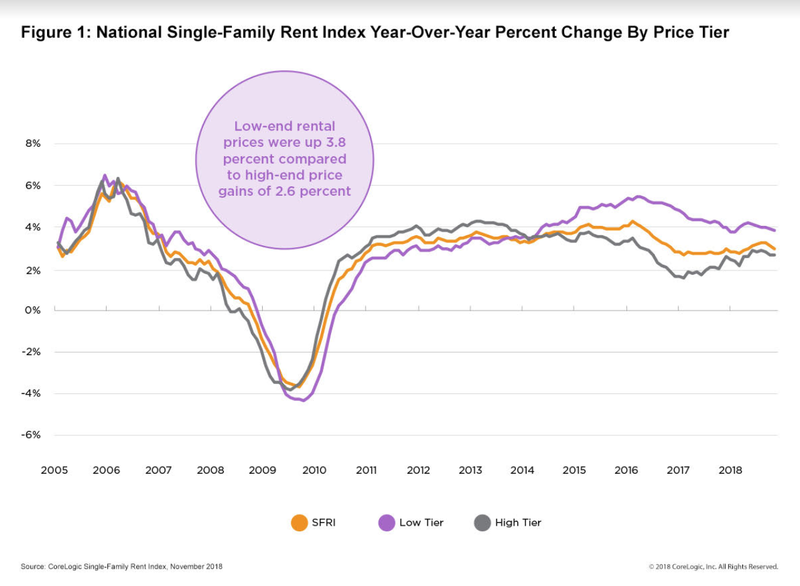 Single-family rent prices grew even faster in some pockets of the country. Las Vegas, Phoenix and Orlando shouldered increases of 6.7 percent, 6.1 percent and 5.3 percent, respectively. The only major city that saw its rent prices drop in November was Seattle, indicating that price hikes in the area may be coming to an end. Meanwhile, multifamily rental rates grew 3.2 percent year-over-year to an average of $1,419 in December. Despite the small drop in growth over the past two months, prices nationwide are projected to continue rising far into 2019 given low inventory and high demand.